"We are hardwired to connect. Life is series of moments. Anxiety can be revolutionary. In the past, we were cavemen, worrying about fighting off the saber-toothed tigers. Today, we scan our inbox for threats; an email from your boss reminding you about that deadline! Mother Nature is going to make sure that you start that anxiety cycle all over again. How do we reframe anxiety to be revolutionary?" 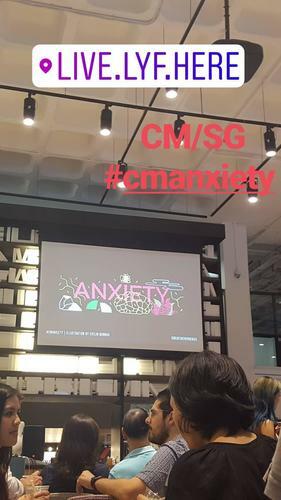 CreativeMornings/SG was held at lyf at the SMU in Singapore today, to kick off the brand new year. 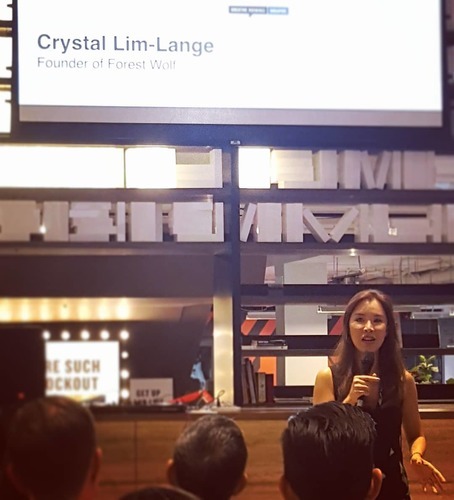 We had an absolutely incredible speaker: Crystal Lim-Lange, who is the Founder & CEO of Forest Wolf. MIND - Focus on being present. You might have missed replying to emails, texts or calls, but it's to remember on focusing on being in the now. BODY - Mindfulness: reclaiming your energy, attention and focus. Make your exhales much longer, focus on your breath even when your mind begins to wander. SPIRIT - Connect to what matters to you. EMOTIONS Connect with yourself. Remember to give yourself self-compassion. 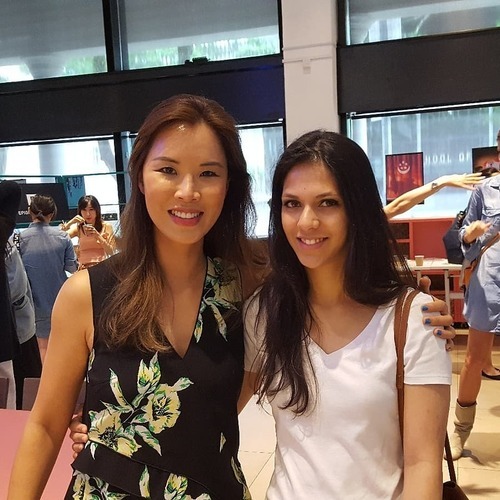 Beaming and bright throughout the talk and Q&A, Crystal also talked about the benefits of going to somewhere which makes her feel [in awe], like being the presence of a monument or a mountainous area, where the environment and surroundings essentially engulf you completely. Last but not least, she emphasised the importance of wise affirmation, which transcends through a lot of our lives: "FEEL THE FEAR, BUT DO IT ANYWAY." A refreshing and insightful morning which left me wondering where the time went! Happy 2018, all. Without a doubt, I highly recommend Crystal's invaluable guidance and attitude for the new year ahead.